30042016_The_Rise_Of_Germanys_New_Right_0017: The Rise Of Germanys New Right: Made in Germany: Hermann Bredehorst - editorial and portrait photographer Berlin, Germany. 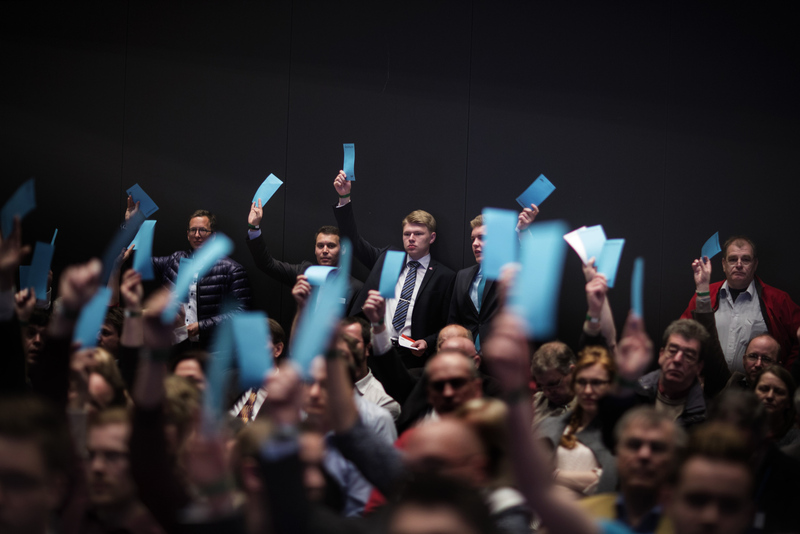 April 30, 2016 - Germany, Stuttgart: About 2000 registered members attend the party congress of the right-wing party Alternative für Deutschland (AfD). The rapidly growing party is expected to adopt an anti-Islamic manifesto, emboldened by the rise of other European anti-migrant groups like Austria's Freedom party.